Dr. Sebayang has extensive experience in conducting a large scale randomised controlled trial in the SUMMIT study that enrolled and followed up ~42,000 pregnant women in Lombok, Indonesia to assess the impact of maternal multiple micronutrient supplementation on mortality and birthweight. Before she joined Universitas Airlangga, she was the Program Director of the SUMMIT 10 Year Study which was a follow up study of the SUMMIT children at the primary school age to assess the impact of the SUMMIT supplements on child cognition, motor and socio-emotional ability. 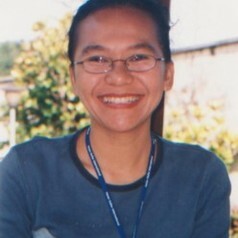 Dr Sebayang graduated from the Sydney School of Public Health, University of Sydney, Australia with a thesis on the modifying impact of maternal nutritional status on the impact of maternal supplementation with multiple micronutrient on early infant mortality and birthweight. Her research interest also covers mental health, tobacco control efforts and women’s empowerment associated with maternal and child health.